A few weeks ago I was asked to have a chat with BBC radio on air about the recommendations that we, the good ole Brits, need to eat less sugar. We have fat free, gluten free, dairy free… but sugar free isn’t really very available in the free from section, and it turns out that it is more of an issue for us that all of the others combined. It’s not just an attack on the sweet stuff either, but rather on the food industry as a whole – there is an unwarranted amount of sugar in our food nowadays and even that which we put in our lunch boxes because it’s “healthy” contains just as much if not more sugar than a chocolate bar. That just had no logic! Don’t get me wrong, I’m not saying cut out all treats and live a life of kale and high percentage oxygen. Hell no to that – I love my treats and sweet stuff just as much as anyone else, and I believe in balance. I believe that myself and my kids should be able to enjoy sweets and chocolate in moderation and I’ve never been one to tell them they can’t enjoy that kind of thing. The fact remains though that the sugar consumption in this country is getting totally out of control, and as such we really need to look at what is in our food. We do have an issue that we need to sort out. But what to do? The government is saying that the food industry needs to put less sugar in our grub, the food industry is saying it’s OUR job as adults to monitor the amount of sugar we eat – personally I think we all need to work together. At the same time as the interview with BBC radio, I was sent some sweets in blind bags of sweets by Rowntrees. I have to be honest at this point, and tell you that I was rather disappointed when they arrived as I thought I was going to be fancy pants and try something new and totally different… but on opening the parcels I’m met with (admittedly delicious) Rowntrees Randoms and Rowntrees Fruit Pastilles. Humph. 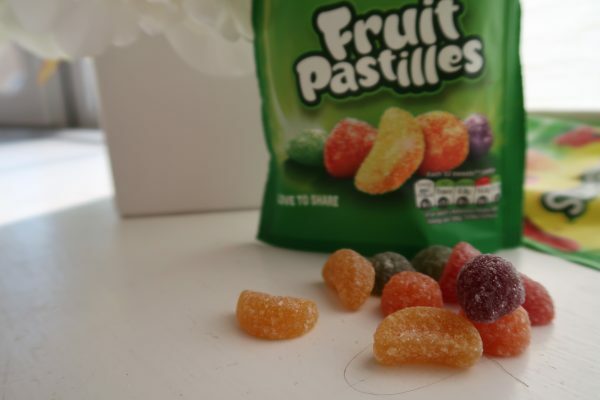 The idea was that I tasted the fruit pastilles and randoms and gave my opinion as to what is going on with these “new sweets”, like a tease to the masses if you like, but… yeah. 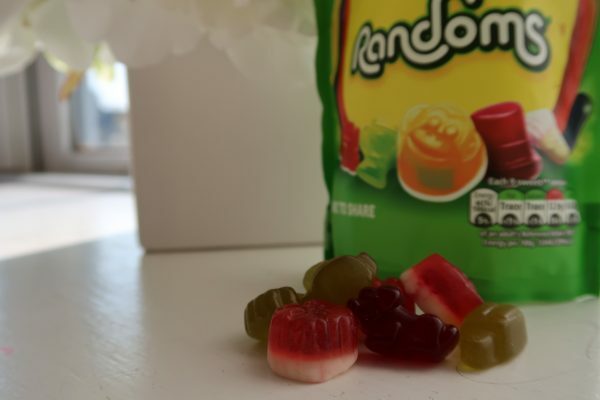 What could I say, they were fruity, delicious and… exactly the same as every other packet of Randoms or Fruit Pastilles that I’ve ever squirrelled away from the kid’s loot bags at a party. These really are brand new Fruit Pastilles and Randoms, with a whopping 30% less sugar and exactly the same great test. Turns out Rowntrees were listening to my radio chatter when I said that the government, parents and the food industry need to work as a team to cut sugar consumption in this country… or maybe not, but that is 100% what I’m telling myself. You can all agree if you like! Either way, my disappointment was misplaced. Rowntrees best selling sweets are now filled with less sugar, but they taste exactly the same and I couldn’t be more thrilled to know that my late night stealing of the children’s sweets will be 30% less unkind to my waistline. Rowntrees sweet stealing parents everywhere salute you! If you’re after these little treats yourself (you can tell me if you think they do taste differently) then you can find them in Tesco supermarkets nationwide. 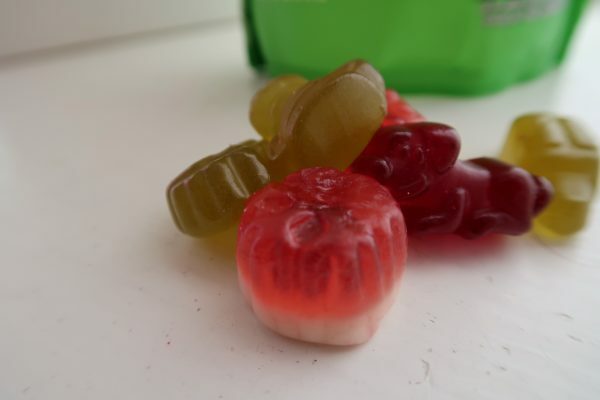 *Collaborative post with Rowntrees, all opinions are my own!  Writer’s block and giving up blogging. What a great alternative! Americans definitely take in wayyyy to much sugar too. How great is this, I love rowntrees, but have stopped buying them due to the amount of sugar, but 30% less, here I come sainsburys lol! I try to stay away from sweets to be honest. I eat one and want the rest. It’s great this is now happening, but for me they will be a once in a blue moon thing. Lol, great post. Yes I do grab a few of the kiddies sweets too when I get the opportunity. It’s great to hear that they are now available with less sugar. For me the less sugar the better. 30% less is a massive difference too. Oh its great that they have reduced the sugar content but they still taste the same.